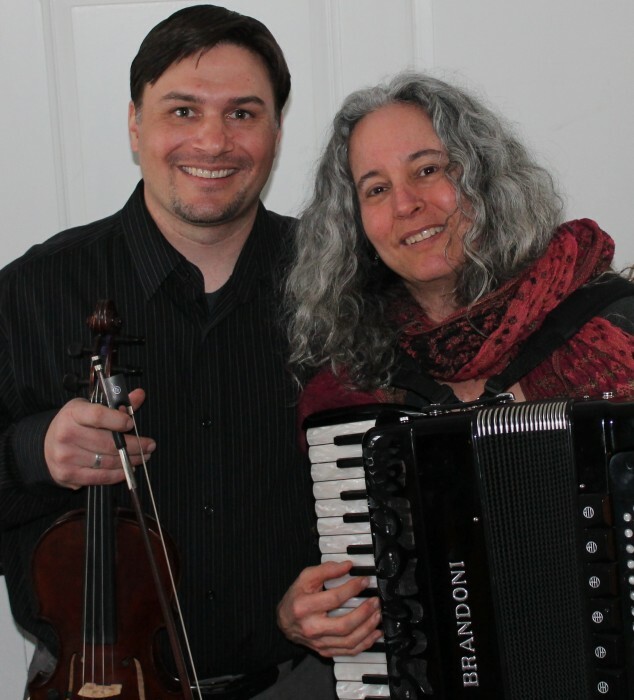 Eric Martin (violin, viola, voice) and Karen Axelrod (piano, accordion) are a dynamic duo who love to bring the vibrancy of traditional dance music and song to the concert stage. Listeners can expect to be swept away on a musical journey to various lands including Ireland, Scotland, England, France, Germany, Argentina, Quebec, Appalachia, and New England. Eric and Karen are well-respected traditional dance musicians and have performed across the United States, Canada, and overseas, primarily playing for English country and contra dance events as well as at camps and festivals. Their interpretations of traditional music are contemporary, powerful, whimsical, and always heartfelt.